Coach of the Bounty Colts basketball team, Philip Rockcliffe ‘One Foot’ George was laid to rest yesterday after a ceremony at the Our Lady of Fatima Cathedral on North Road which was attended by a large number of former players. The well-respected 63-year-old George, who died on December 20, was a former national player who following the end of his playing days, evolved into a junior national coach and top club coach. 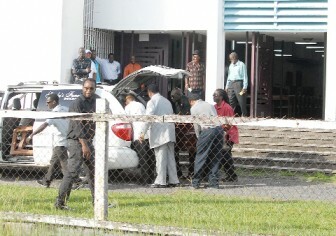 George, also fondly known as ‘One Foot’ had one of his legs amputated following a vehicle accident years ago but the loss of one leg never failed to hamper George in the executiong of his duties as coach, according to national coach Robert ‘Bobby’ Cadogan who was at yesterday’s funeral. Cadagon, at the end of the funeral service, spoke of the impact George’s death would have on local basketball. 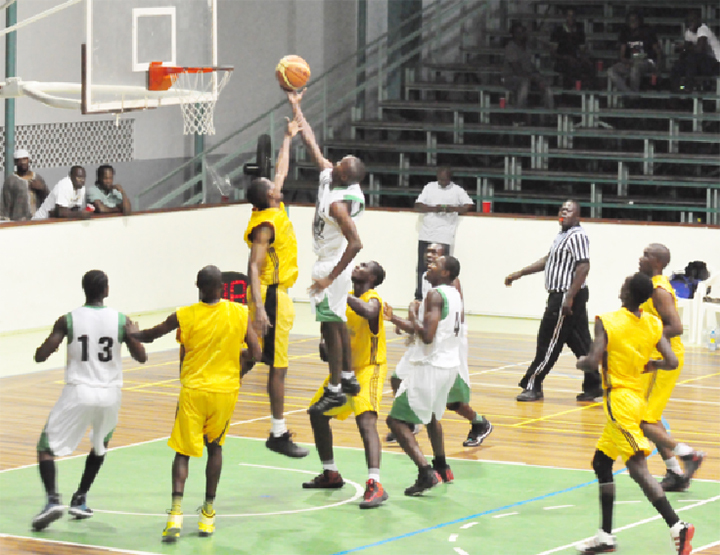 “It’s a big loss because of the lack of experienced and qualified basketball coaches in Guyana and it’s sad that he had to go out like this,” the former Pacesetters and national player said. “I remember since 1979 as a young man playing basketball with George around and it’s funny because basketball made him lose his leg so his dedication to the sport was unquestionable,” Cadogan stated. Tributes were read by the president of the Guyana Amateur Basketball Association (GABA) David Patterson and Vijay Panday, a tournament organizer for basketball. 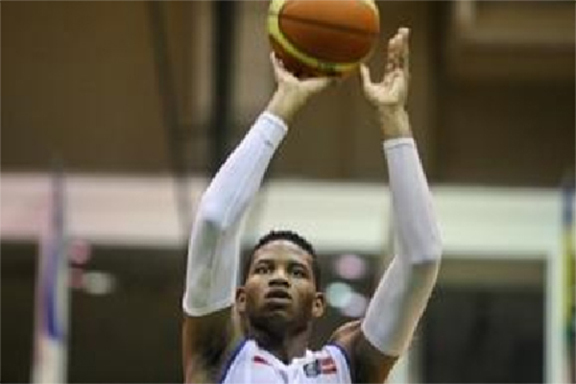 Prior to yesterday’s funeral basketball players held two nights of wake at the Cliff Anderson Sports hall where a number of overseas-based players such as former national player Lancelot Loncke and other players such as Lugard Mohan, Hilbert `Bonzo’ Weekes and Gary Bowman among others participated. George, a no-nonsense and outstanding coach of especially youth players, was coach of the national Under-19 team which participated in several Inter-Guiana Games competitions.